Just a heads up that the next few weeks might be light in terms of news and roundups, as I’m going on a small trip. Luckily, there were a few things to talk about this week, as otherwise, it would be a rather long break without a WNR. The things that we talk about are rather related too, as you’ll find out. The problem of leaked screeners has gotten bad enough that the MPAA has finally decided to seek external help to get the problem under control. The MPAA has partnered with the Content Delivery & Security Association to created the Trusted Partner Network (TPN), a group that will try to ensure standards are being met in terms of the secure storage and distribution of entertainment content, including screeners. TPN will set out to raise awareness of proper security protocols, and TPN approved assessors can provide auditing to content owners and vendors who wants to ensure they aren’t the weak link in the distribution chain. You can’t blame them for taking some action though, because screener leaks and even major hacks have become so common, they’re no longer even news worthy. That’s not to say that the problem is so big that the revenue lost, and the jobs associated with it, has become news worthy as a result. 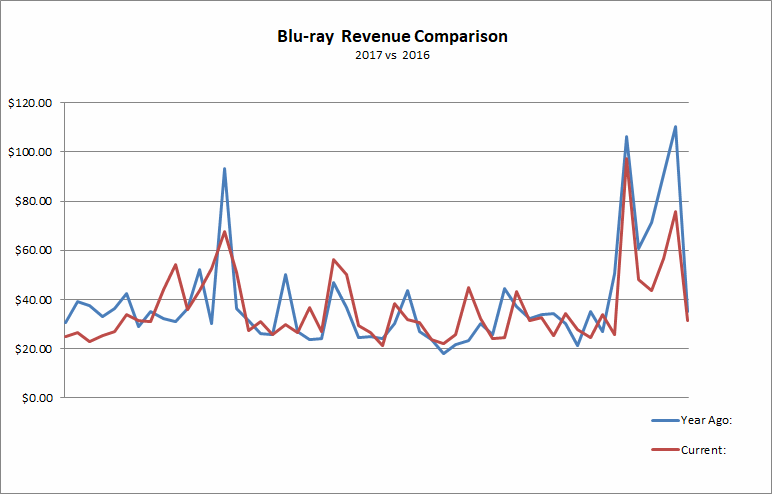 If anything, it appears that the movie business has never been better. Don’t think that’s the case? 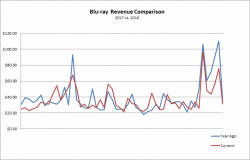 Then why not check with the MPAA, who’s most recent report paints a very rosy picture of the film business. The last 3 years have been record years, domestically, for the movie industry, and globally, 2017 was a record breaking year. 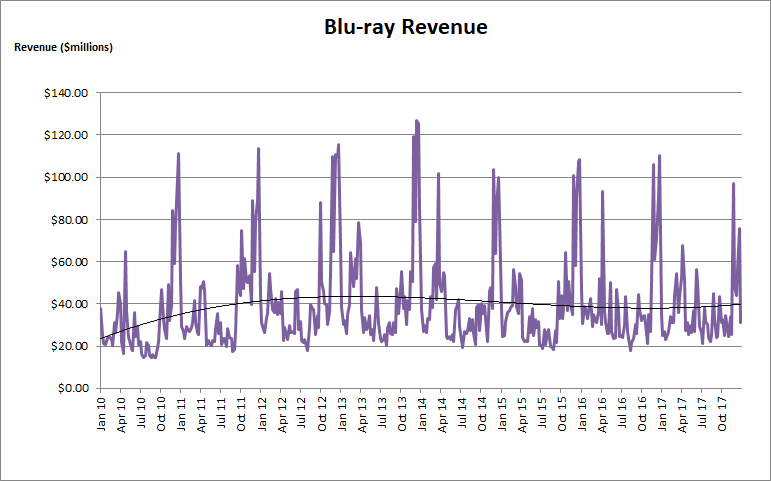 Box office receipts are up, especially in emerging markets like in Asia, and not only that, home entertainment profits are up as well. 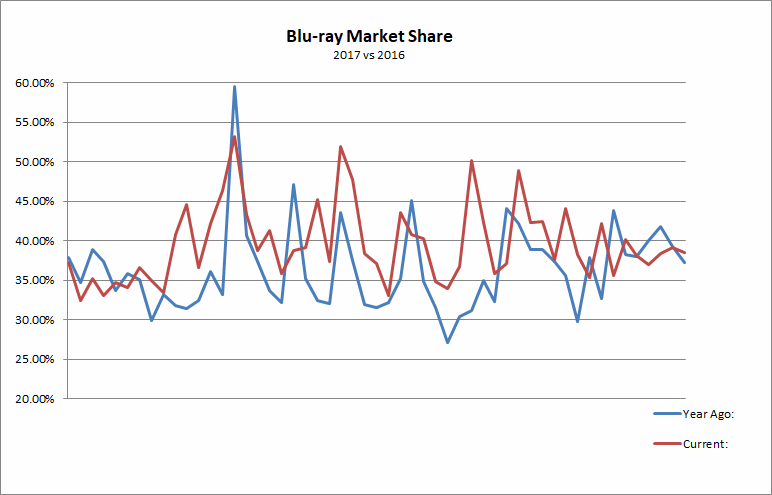 The latter might be surprising because the same report paints a dire picture for physical media, with revenue down some 41% since 2013. 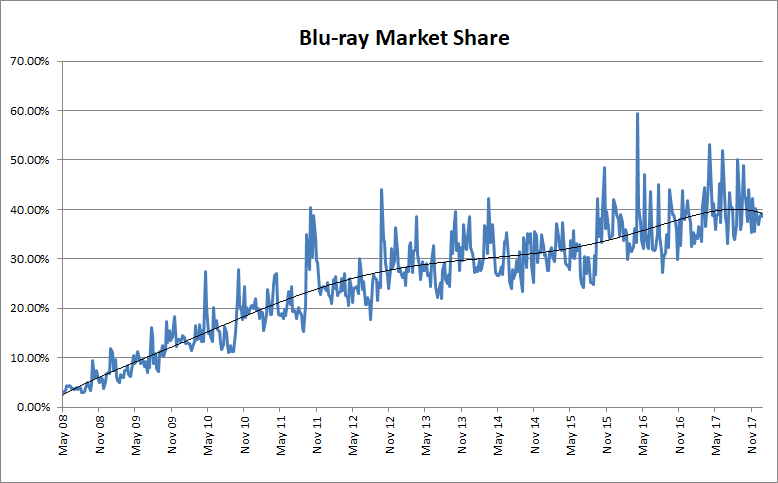 But as luck would have it (or not luck at all, but just common sense), the rise of digital has more than offset the losses with physical media. This has meant an overall increase in consumer spending, meaning that despite some of the money going to the likes of Apple, Google and Netflix, digital is actually more profitable than physical (or maybe more precisely, the ease of use of digital now means people are consuming more content than ever). Who would have thought that innovation and user friendliness are the keys to success? I certainly didn’t in 2009 or even earlier if I had bothered to search through WNRs from before then. 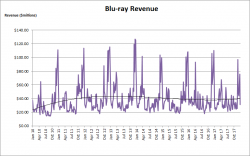 But the focus on piracy still hasn’t decreased, because in the eyes of the MPAA and its members, it’s still “money lost” despite there being very little evidence that stopping piracy entirely (not possible anyway) would lead to a surge in profits. For me, the transition to digital would not have gone so smoothly had there not been pirate applications that had already gotten people used to consuming digital media. Kind of like how without MP3 piracy, Apple would have found it a lot harder to launch the iPod and iTunes, because there just wouldn’t have been a market for the entire ecosystem. And without the price pressures put on the industry by piracy, Spotify would have never existed for the same reasons Netflix might have never been. And as we’re on the topic of music, it’s a bit of a coincidence, or not, that the RIAA also released their own report on the state of the music in industry, and it’s starting to look brighter too. Again, digital is playing a key role in the “revival” of the industry (following it’s “collapse” due to piracy if you believe the RIAA, or more likely, the transition from CDs to digital). 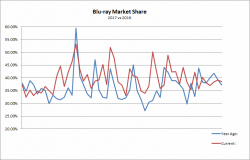 And within the larger physical to digital transition, and as we are also seeing within the movie industry, there is also a transition from ownership to subscription. From iTunes to Apple Music, or iTunes again to Netflix. 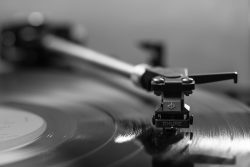 And hysterical claims from the RIAA about the lousy royalties from streaming, it’s actually paid subscriptions that’s driving industry profits forward – both digital downloads and physical media sales were down, but total revenue grew by 16.5% thanks to a 56% rise in the number of paid subscription. Things will never go back to the heydays of CDs, but so many things have changed since then (um, the Internet, for one), so is it really realistic to expect business to stay the same? You can’t blame everything on piracy. And on that note, we come to the end of another WNR. There might still be one next week before I leave for my trip, unless I run out of time packing, which is very likely. See you … when I see you again! Welcome to another edition of the WNR, one that, unlike in recent times, is actually full of stuff to talk about. Yeah well, I don’t know what happened either. Maybe it was the post Valentine’s Day euphoria that got the news juices flowing, but I think it’s just lucky timing. I didn’t really expect this to happen, but Disney’s lawsuit against Redbox isn’t going to be as easy as they thought it would be, with a judge having denied Disney’s request for a preliminary injunction. Lawyers usually don’t ask for preliminary injunctions (or even file the lawsuit in the first place) if they didn’t have a reasonable expectation of success. But sometimes all it takes is a good argument, and a judge willing to consider it, for the tables to turn, and turn they have. 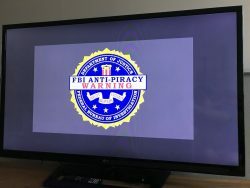 U.S. District Court Judge Dean Pregerson ruled that Disney was engaged in “copyright misuse”, by attempting to bundle too many conditions to the redemption and use of the digital copy that comes with Disney combo packs. 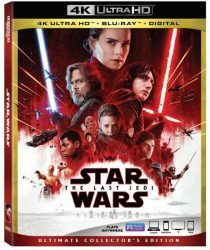 Specifically, Disney tried to “tie” the ownership of the digital copy to the ownership of the discs in the combo packs, and this meant that users had to give up their right to resell the discs if they wanted to redeem the digital copy, and that, the judge said, was beyond what Disney’s copyright allowed them to do. 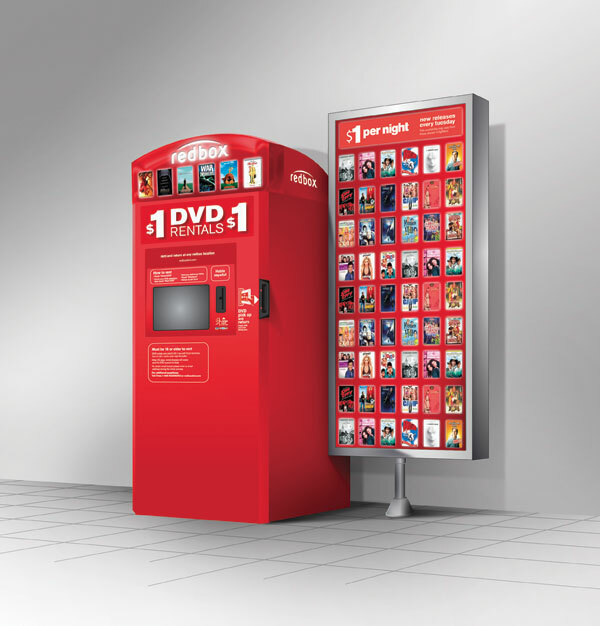 It wasn’t a complete slam dunk for Redbox though, as they failed to get the judge to recognise that the “first sale doctrine” applied to the redeemable digital copy, as in the judge’s opinion, the digital copy doesn’t actually exist at the time of sale (it only exists after the buyer redeems the code). 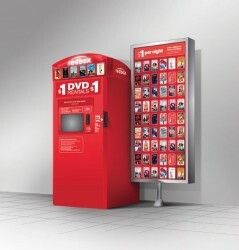 Without being able to rely on the “first sale doctrine”, which limits the ability for the rights-holder to control the product after the first sale has occurred (and is the basis that allows us to resale our legally purchased goods), Redbox’s assertions that they had a right to sell the digital codes might not be an easy argument to make. Interestingly, the judge found issue with the wording of the “Codes are not for sale or transfer” condition on Disney’s combo packaging, which does not make it clear that opening the package is considered acceptance of the conditions. Expect changes to the packaging to happen sooner rather than later. Speaking of changes, those that have used Google Image search in the last week would have noticed a rather big, and annoying, change. Google has removed the “View Image” and “Search by Image” links in its image search results, meaning that it’s now much harder to download the original, unedited versions of any image. And that’s the whole point really, because Google has come under pressure copyright wise (via a Getty Images lawsuit) to stop making it so easy to download images via its image search function. As expected, users have not reacted positively to these changes, and who could blame them. Also as expected, website owners have welcomed these changes, many of whom have long accused Google of “stealing” their images by directly linking to them (allowing users to download them without the need to visit the publishing website). The same problem exists with snippets (you know, live sports scores, weather, and things of that nature), but at least with snippets, some websites are actively providing the content to Google. Not so with images, and many webmasters have even gone as far as install scripts on their site to prevent direct linking. While one fire has been potentially put out, expect the conflict between publishers and Google to intensify with Google’s other features. 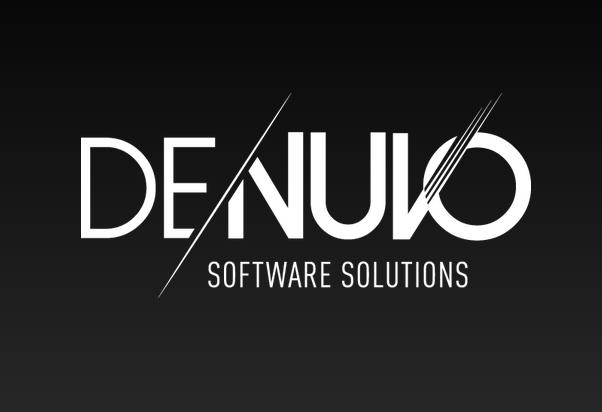 Is Denuvo a performance killer? Does Denuvo affect gaming performance? There’s evidence to suggest that it does, and there’s also evidence to suggest it doesn’t. 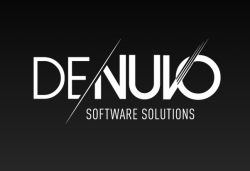 But I think what is clear is that Devnuo has the *potential* to affect performance, and if the cat and mouse game between Denuvo and crackers continue and Denuvo start to use more and more complicated means to protect games, then yes, performance will eventually become a big issue. Anything that potentially makes hundreds if not thousands of calls per second will take something away from the gaming performance, even if these calls are super efficient. Denuvo isn’t the only anti-tampering game in town though. Arxan is another company that’s promoting their anti-tampering tech, and it has already been used in some games. 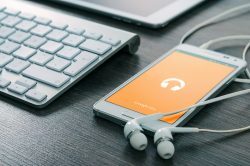 It has been used in games for Microsoft’s Universal Windows Platform, which allows game publishers to use a single API set to publish games for a wide variety of Microsoft devices. UWP features not one but 5 layers of DRM to protect its games, and was previously though to be impenetrable. Try telling that to a hacker though! 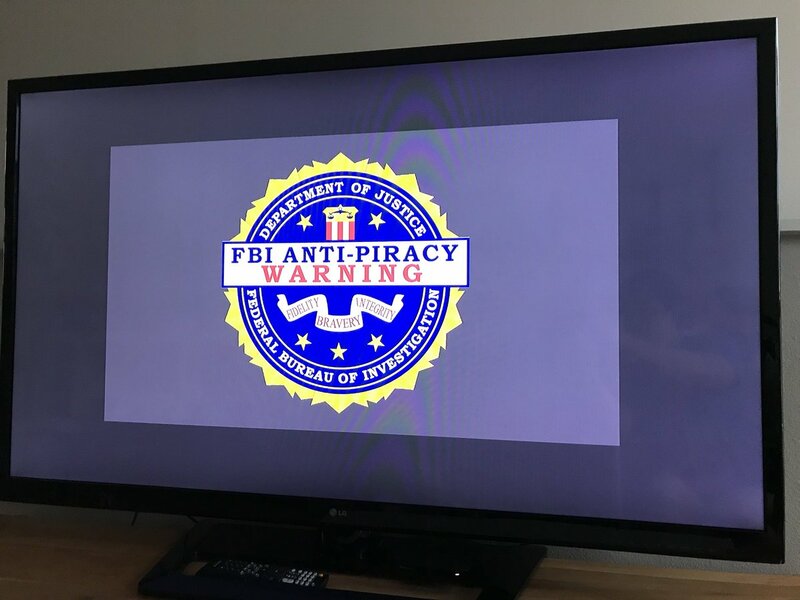 This week, a UWP game and its 5 layers of DRM (MSStore, UWP, EAppX, XBLive, and Arxan) were all cracked by group CODEX, allowing the game ‘Zoo Tycoon Ultimate Animal Collection’ to be pirated. It’s hardly a game that pirates have been waiting for, but as a proof of concept that UWP can be cracked, it is just as effective as a AAA game. Not content with having control over all of the most profitable franchises (and making a zillion movies for each franchise), Disney is in the process of buying another major studio Fox. This, along with their plans to pull new content from Netflix starting in 2019, all bodes well for the studio’s upcoming streaming platform. It has already been discussed as a potential “Netflix killer”, but Disney says that’s not what it is at all. Instead, Disney’s streaming offering will be a more streamlined affair, offering 500 movies compared to Netflix’s 4000+ at launch. The price for the service, according to Disney, will also be lower than Netflix’s. 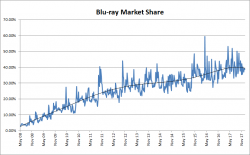 So the new service may not be a Netflix killer, but it might injure it some, considering how many good movies Disney (and Fox) has at their disposal. I think that’s all we have this week, hope you found it all interesting. See you next week!